The ultimate high-end and brand new innovation in coffee, P.E.P. or “Pulse Extraction Process” from JURA produces espresso perfection. 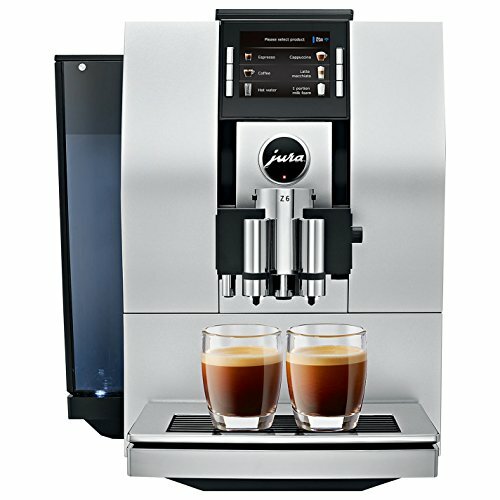 For the Pulse Extraction Process, market leader JURA was inspired by the most renowned professional baristas worldwide. The end result is cutting-edge tech which perfects the extraction time, enabling strong brewing of even quick specialized coffees such as ristretto and espresso with a range of aromas like never before. The Z6 has entered entirely new territory, taking the automated customized coffee machine to its highest level. Swiss development excellence is showcased in this modern-day next-generation coffee machine. It attains a brand new top quality level across the whole spectrum of specialty coffees, from a quick, intense ristretto to the ever-popular, smooth Latte. Arguably the finest espresso ever, at the mere touch of a button. Naturally, the fully automated Z6 prepares perfect milk and milk foam.